Shiny material & almost pearlescent. Unpacked the shirts & washed them before I noticed this shirt wasn't as I expected. 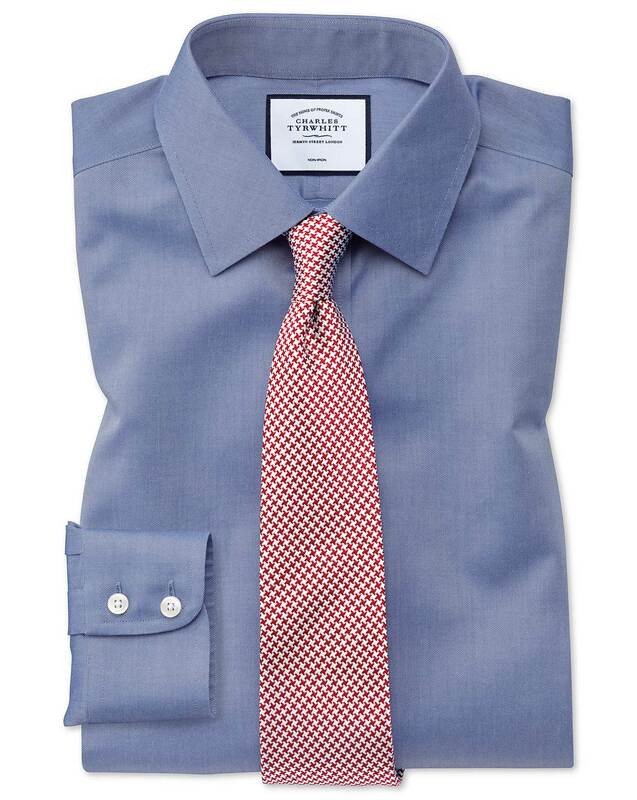 Response from Charles Tyrwhitt: I am sorry to hear that your recent purchase was not quite as expected, this is certainly not the norm for one of our best-selling shirts. As the difference in fabric may be due to the shirt being brand new, I would ask if you have noticed an improvement after washing? If not, you are of course more than welcome to exchange this within our six month guarantee, and please feel free to let us know so that we can assist you with this.